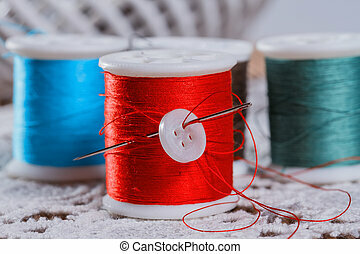 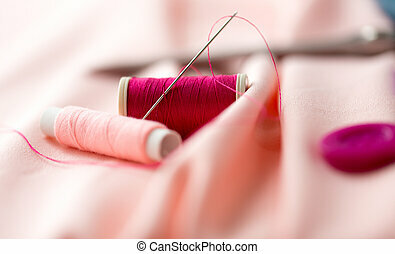 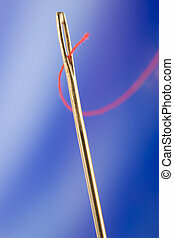 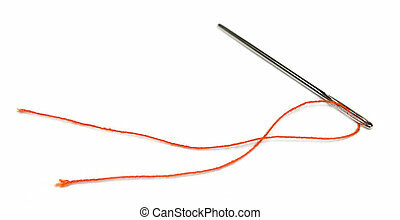 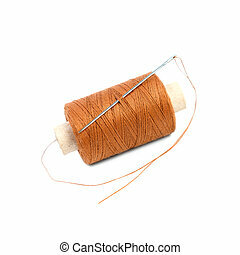 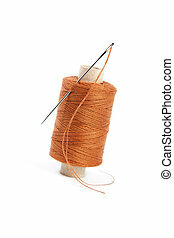 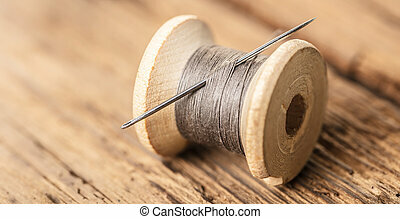 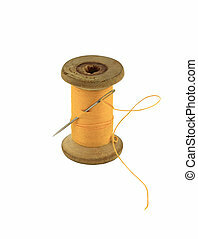 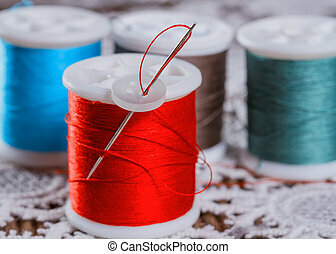 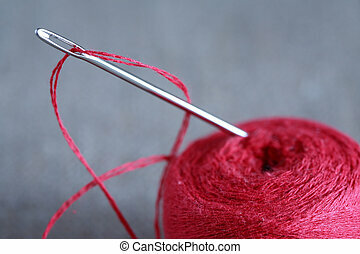 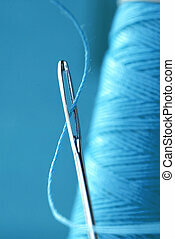 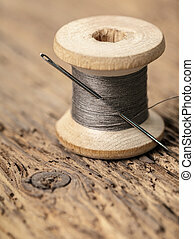 Concept of persistence - needle and thread. 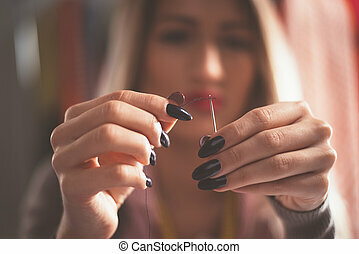 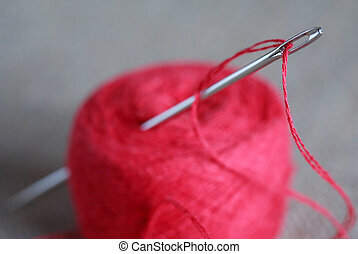 Close-up of female hands passing thread through the needle. 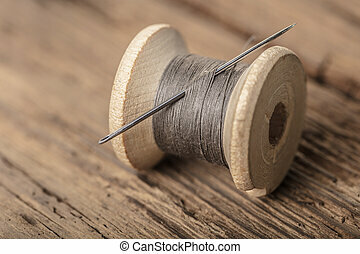 Vintage concept.